Tyler Spiers and Joe Davidson's show about a Korean boy and his insanely American adoptive family won the audience over with some things you could name- like their attention to detail in costuming, cinematography and character- and something on which it's hard to put your finger. I can't help but feel like if I try to talk about why I liked My American Family, I'd end up sounding really stupid and saying something like, "I like that Korean kid's voice." 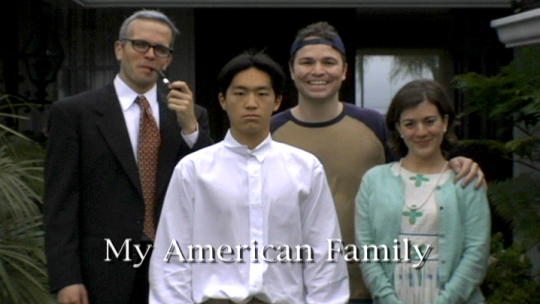 Sadly, the live audience revoked My American Family's visa in February of 2005, but not before it crept into our heads and did something really weird there. Teddy and Dad go fishing while Mom and Kim get acquainted. Teddy has a girlfriend; Mom has a boyfriend.